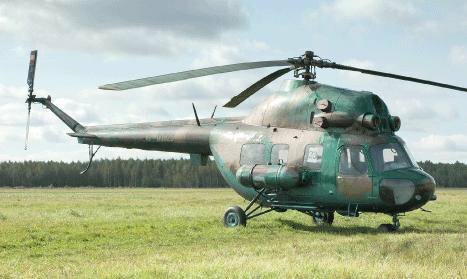 A Mi-2 helicopter has crashed down during a training flight in Kremenchuk, Poltava Region, the National Bureau for the Investigation of Aviation Emergencies and Incidents Involving Civil Aircraft has said on its official website. "The Mi-2 helicopter fell to its side while practising hovering within the area of the Kremenchuk airfield (Vylka Kokhnivka). An instructor and two students, who were onboard, were not hurt as a result of the crash. The helicopter was damaged," the statement reads. The national bureau is investigating the incident.